Charlotte Fencing Company offers the latest styles in aluminum, vinyl and wood fencing designs, Gateway Fencing is the one stop fencing contractor for all of your commercial and residential fence needs. We not only offer sales, repairs and installations we will also supply you with materials brought to your job site. 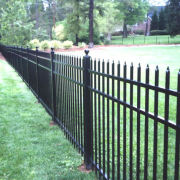 Gateway is the Charlotte Fencing Company of choice. 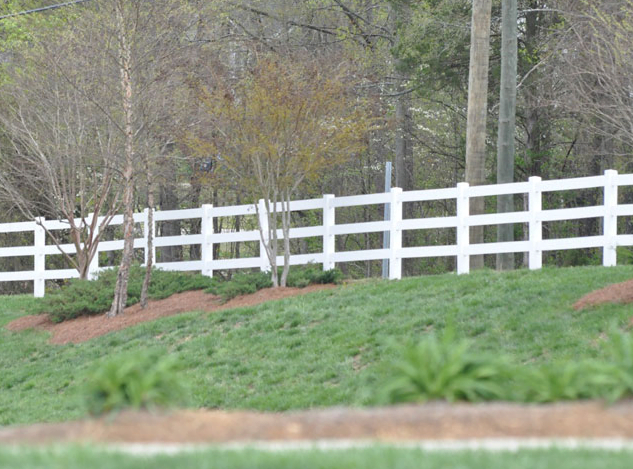 Established in 1998, Gateway Fencing has been providing the Charlotte, NC area with quality residential, commercial and industrial fence installations for over 16yrs. 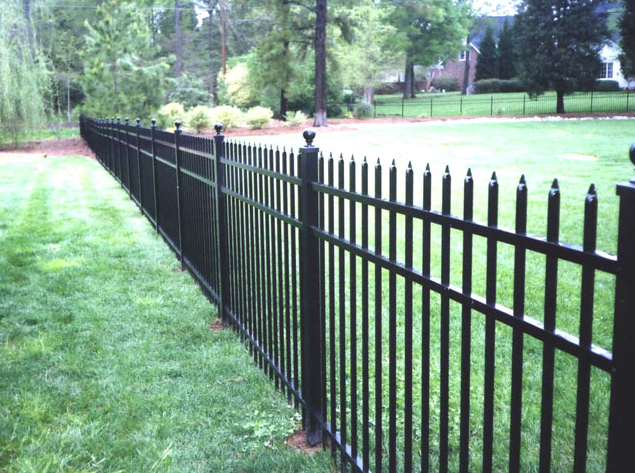 Aluminum fencing is available in residential, commercial and industrial grades. We offer black, white and bronze colors. Adding finials, scrolls or caps will accessorize any fence. 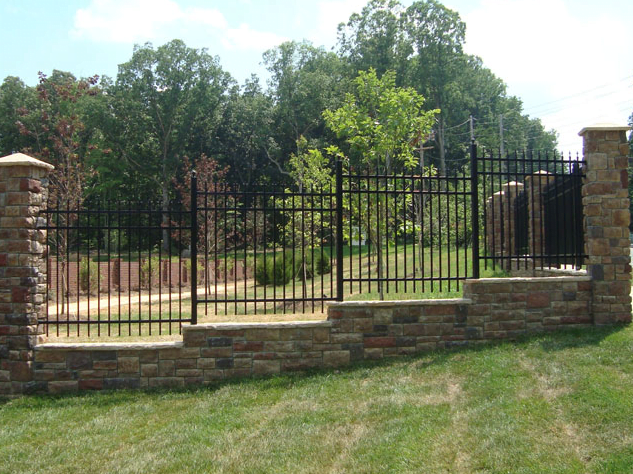 Aluminum fences offer the beauty and protection of traditional wrought iron fencing without the maintenance. They also add prestige and value to any property. 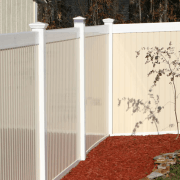 Read More..
Vinyl fencing is available in privacy, semi-privacy, picket and split rail styles. We offer white and tan colors. 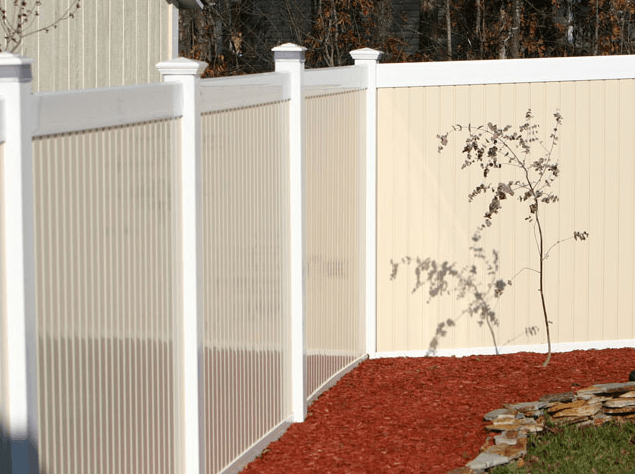 Vinyl fence is a beautiful addition to any property without maintenance worries. Read More..
Chain Link Fencing Most Cost effective. Chain link fence is famous for being durable and long lasting. We offer commercial and residential grades. 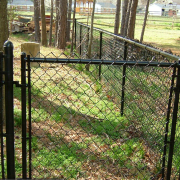 We also offer vinyl coated chain link fence in a variety of colors. 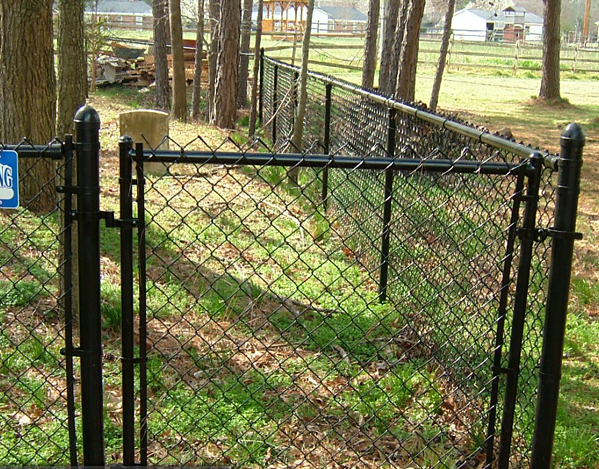 Whether you are fencing in the perimeter of your yard, enclosing your pool, making a privacy screening for a garbage area or creating a dog run, chain link fence affords strength and durability at an economical price. 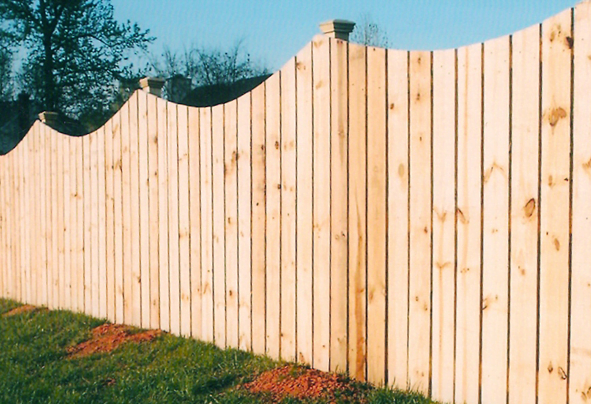 Wood fence is a traditional addition to any property. 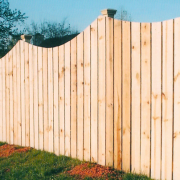 Wood fences come in several different styles including picket, split rail and privacy. Or perhaps the let us design a hybrid of wood & aluminum fencing for a stately look. We would be glad to provide you with a free estimate! 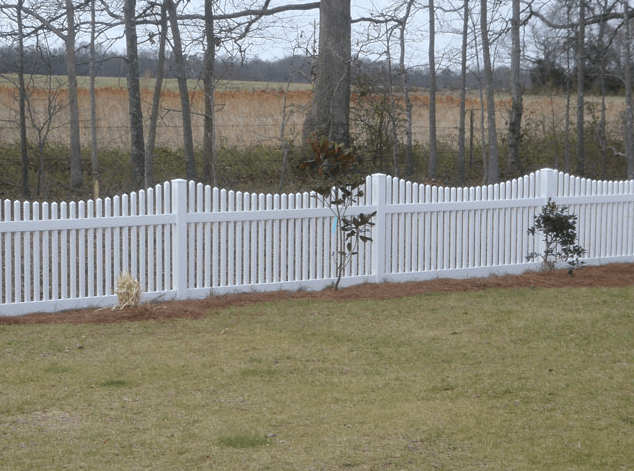 Charlotte Fencing Company servicing Charlotte, North Carolina and surrounding areas including Concord, Gastonia, Huntersville, Lake Norman, Lake Wylie, Matthews, Mooresville, Pineville, Monroe, Waxhaw, and Northern South Carolina locations.